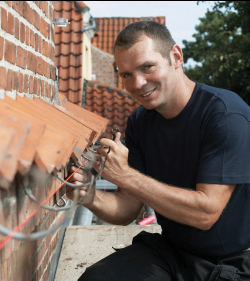 Roof gutters have to be mounted or mended correctly by qualified rain gutter installation experts. Gutters that don’t incline the correct direction, are not in the correct position to catch water, or have failing or rusty spots on them ultimately produce damage to the roof, the building itself and the foundation. Roof gutters are a fundamental and indispensable item for protecting your property. During thunderstorms or even normal rainfall, gutters work to move the water away from your house and help you avoid costly water damage. A correctly installed and preserved rain gutter system can save lots of dollars in roofing, fascia, siding and foundation repairs over the lifetime of your rain gutters. Though you almost certainly don't dwell on it very much, there is actually a huge assortment of both rain gutter varieties and materials offered when it comes to selecting what’s the best choice for your property. Aluminium, steel, copper, bonderized, seamless...these are only a few of the many varieties offered. When you're thinking about which gutters to install, keep maintenance, type and materials in mind. You'll need a style and color that best fits the style of your home, but also consider needed maintenance and the optimum materials for the job. Vinyl rain gutters are cheaper in the beginning, but they distort, lose color and, overall, don't withstand weather as well as aluminium, steel or copper. Seamless copper and aluminium rain gutters have less leaking, distortion and a larger size for water distribution. Bonderized steel, though heavier and bears up to ladders and other equipment better than some other gutters, isn't offered in a seamless variety and is still predisposed to rust. Because of years of experience, Edgewater Rain Gutter can help you to choose which variety, color and style of rain gutters will not only add to the splendor of your home, but protect it for the long term as well. 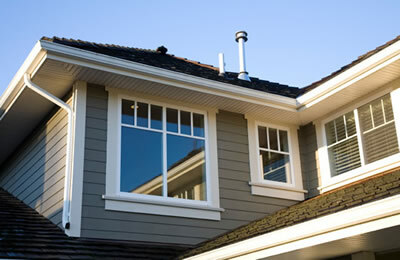 Contact Edgewater Rain Gutter right away and let us help you choose the gutter system that is right for you.